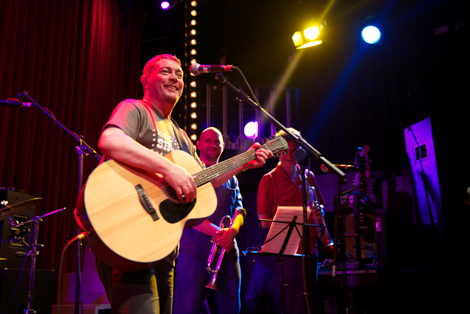 Michael Head plays Manchester’s Deaf Institute on Friday August 15, Getintothis‘ Alan O’Hare on the rise and rise of a Merseyside song-writing hero. 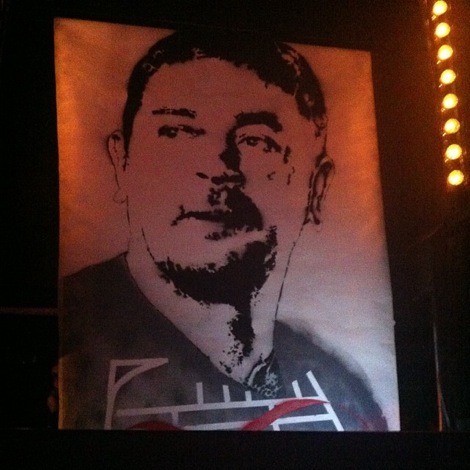 Michael Head is flying. Not in the face of adversity, though. That’s yesterday’s news. The ex-Shack man is currently riding the crest of a recent wave of sold out gigs, rave reviews and great new music. With an EP, Artorious Revisited, revisiting the sound of the seminal The Magical World of The Strands record, the uncrowned king of kenny’ is back on familiar territory: gorgeous melodies, psychedelic tales and terrific tunes. The horns of first band The Pale Fountains are back too and it would seem Head has looked backwards to move forwards. His acolytes are ecstatic with the activities. Followers of Shack haven’t had this much news and excitement since the turn of the century and the release of HMS Fable. Sure, that record secured radio play, NME covers and future Oasis support slots, but the atmosphere around the songwriter’s DIY camp is currently at a career high: gigs are announced online and feverish ticket-buying follows; live videos of unreleased tunes escape from social media outlets to rabid sharing and the mainstream press are back with their tape recorders (a recent Q magazine feature being a prime example). The latest show at The Scandinavian Church was a great example for all tunesmiths over 40: give your fans what they want. The sold out evening featured songs from across the spectrum of Head’s career, alongside new numbers that went down a storm: the likes of Bold Street rag, Lucinda Byre, sit beautifully alongside Shack’s wistful As Long As I’ve Got You. The leftfield pop of the brand new Velvets In The Dark hints at great things on the proposed debut album from Head and The Red Elastic Band (a loose concept in the spirit of Arthur Lee’s Love or Mike Scott’s Waterboys: in short, you could get anyone and anything on stage) too. In short, Michael Head is revitalised. And that’s great news for anyone who is a fan of timeless tunes. Welcome back, Mick. UPDATED: Here’s a snippet of Michael in action last night, performing a wistful and wondrous version of The Stone Roses‘ Waterfall.